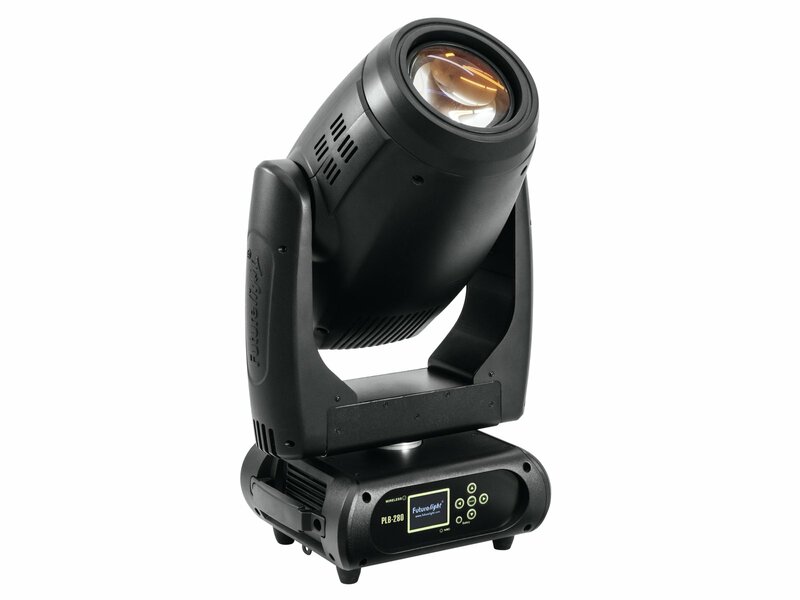 The PLB-280 is the fairy godmother among moving heads, as it makes three wishes come true: It's a spot, beam and washlight at the same time. 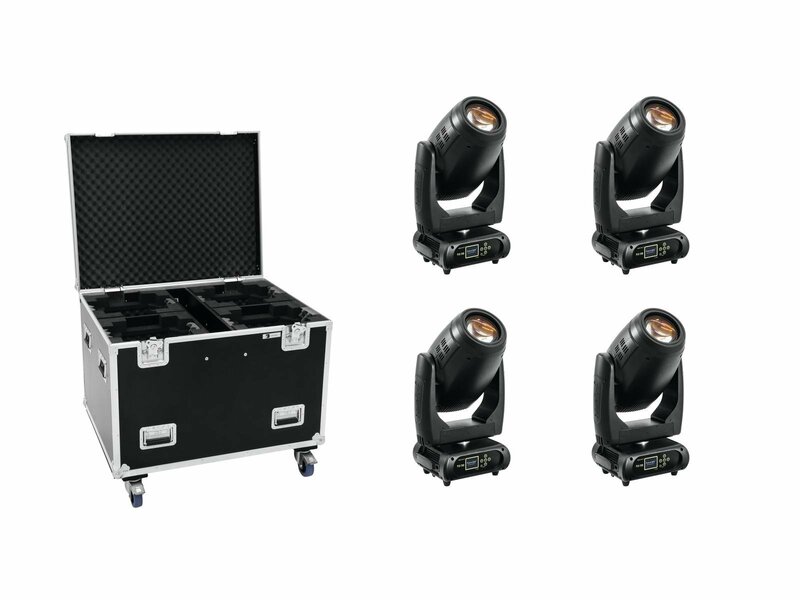 The moving head is equipped with a 280 W strong Osram Sirius discharge lamp and convinces with its powerful performance and of course with its flexibility. In beam mode, it demonstrates an extremely narrow beam angle of 2°, which can be increased to 10° with the motorized focus. The built-in 8-fold prism multiplies the sharp image and arranges it in a circle, while the 6-fold prism creates a linear image. 14 gobos and 13 colors on the color wheel add more creative possibilities. Using the moving head as spot, the zoom makes it possible to adjust the beam angle between 5.5° and 23°. In addition to the functions mentioned above, a gobo wheel with 9 rotating gobos can now be used. Gobos can be changed easily and quickly. Even the desire for a powerful washlight is completely fulfilled by the PLB-280: Via DMX command, the frost filter is moved in front of the discharge lamp. Noteworthy is the fact, that the filter does not absorb as much light as you've seen in other spots. The power of the discharge lamp is large enough to produce a very bright and convincing wash effect. Of course, using the zoom is possible here, too. 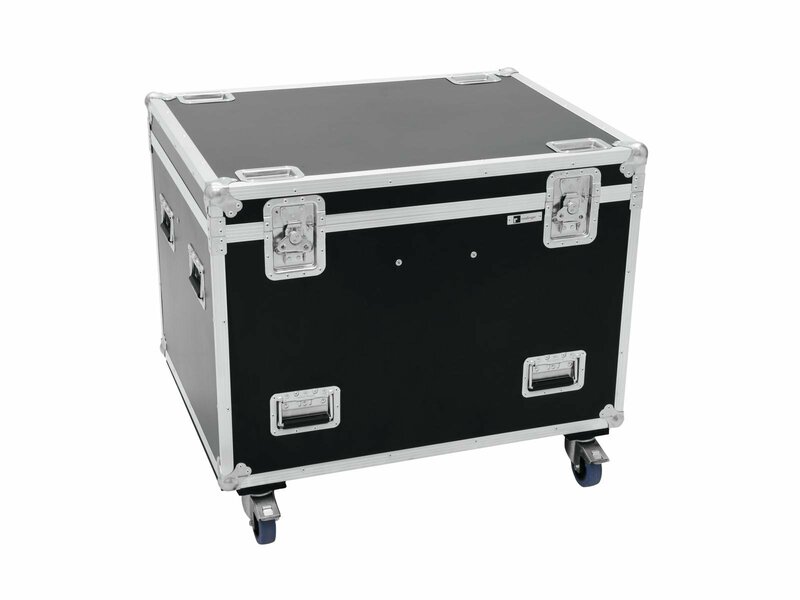 Despite the various possibilities this spot offers, the single modes are controllable with only 14 to 23 DMX channels. All told, the PLB-280 is a perfect all-in-one package with powerful performance. Lamp: 1 x conventional with EEI C included.